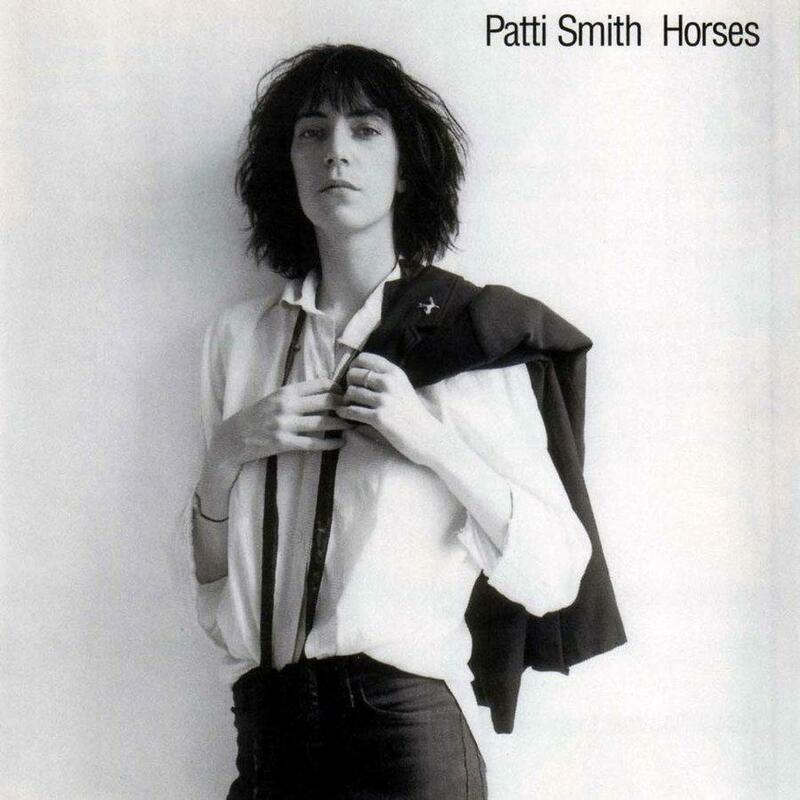 ‘Horses’ is the debut studio album by American musician Patti Smith, released in 1975. A fixture of the then-burgeoning New York punk rock music scene, Patti began recording ‘Horses’ with her band after being signed to Arista Records, with John Cale producing the album. With its fusion of simplistic rock and roll structures and Smith’s freeform, beat poetry-infused lyrics, ‘Horses’ was met with widespread critical acclaim upon its initial release. ‘Horses’ has since been viewed by critics as one of the greatest and most influential albums in the history of the American punk rock movement, as well as one of the greatest albums of all time. Horses has also been cited as a key influence on a number of succeeding punk, post-punk, and alternative rock acts, including Siouxsie and the Banshees, Courtney Love, The Smiths, and Garbage.